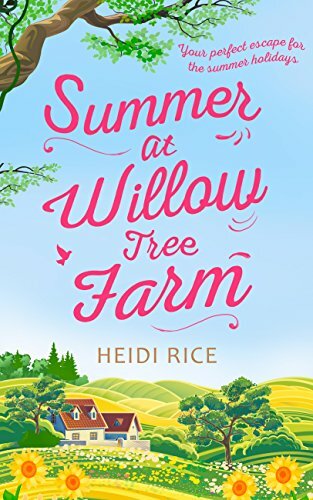 Review: This is the story of Ellie who, along with small son Josh, has left her cheating husband in the US and returned to her one-time Wiltshire home, Willow Tree Farm, and her estranged mother, Dee. This was not a happy place for her, but it was the only refuge she could think of. However, things have changed greatly since she last saw what was previously a commune and is now a Cooperative-Housing Project. As time goes by, Ellie begins to appreciate her surroundings and the people now living in this place. In particular, she begins to understand her mother better and to get to know Art, a man who, as a boy, made her life a misery when she lived here before. Using her skills as an events planner, Ellie gets involved in plans to make the organic farm into a profitable business. During the process, she begins to wonder what the future holds and if she and Josh will ever return to America. I very much enjoyed reading this story. 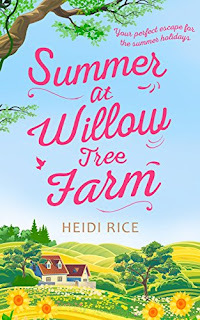 I liked the way it has been written, each part beginning with an excerpt from the diary of Ellie as a teenager in the 1990s, the first time she lived at the farm. Ellie is a lovely person who is still hurting from what happened to her during her childhood and it is wonderful watching her develop into a different woman altogether. Her son Josh also benefits from the change in scene. The way of life people are living at Willow Tree Farm sounds very calm, but there are so many undercurrents not apparent at first glance. The tension between Ellie and Art was at times really intense; I was never quite sure how it was going to resolve, but it was interesting discovering the real Art. 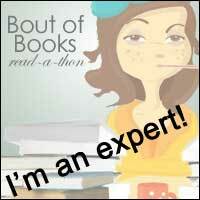 I think this book has a bit of everything - drama, humour and romance - and would be enjoyed by many.